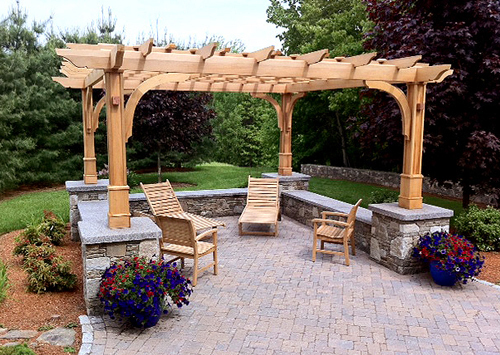 A small, yet well-designed area with beautiful stonework, was the foundation for this backyard focal point. 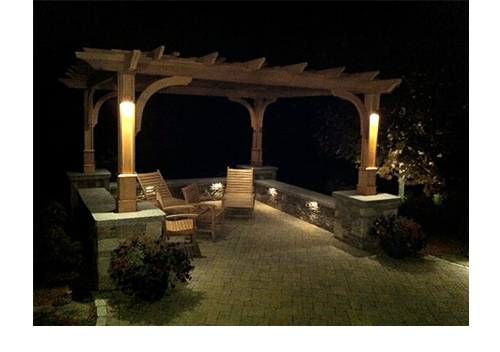 Special channels were created in the posts of the pergola to accommodate wiring for the outdoor lighting. The effect is quite stunning.